If you know where to look, there’s magic everywhere! Lottie is in heaven living at her uncle’s magic pet shop. 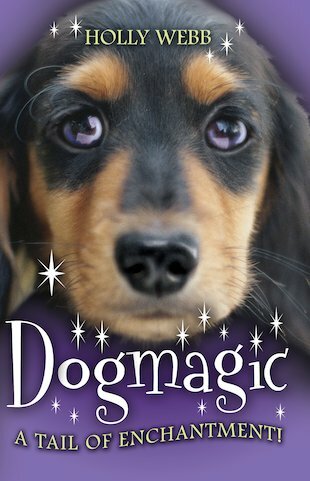 What could be better than having magical powers – and learning that her pet dog Sofie is magical too? Together there’s nothing they won’t be able to do! Lottie is taking magic lessons from Ariadne the witch, and with her new best friend Ruby on the scene, even school feels like fun. But can Lottie trust Ruby? What would her new friend say if she knew about Lottie’s magical gifts? Iove this book its one of my favourites. I have lots of favourite books most of them are to do with magic. NOT FOR ME UNFORTUNATLEY BUT I DO LOVE DOGS!!!! !